Who invented Lacrosse? In ancient North America, Indian history is filled with a variety of games commonly called stick ball games. 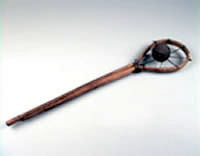 Throughout Native American Indian history there were different varieties of stick ball that were played across the land such as Ta-bé which is similar in some regard to modern field hockey. Or Shinny which also like field Hockey was played by women or girls. But the answer to the question of who invented Lacrosse really comes down to the fact many tribes played games with carefully shaped sticks made of Hickory and other spiritually important woods that had nets on the end generally made of Elm bark, leather, or deer hide. Commonly referred to as baggataway, these games were the predecessors of modern Lacrosse. majority of information is related in the form of oral traditions and legend, and some archaeological and anthropological evidence. No one really knows how old the ancient stick ball sports are for sure. 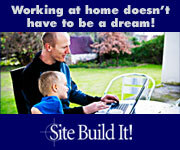 There is some evidence dating back as far as the 1400’s. Although some will disagree many believe it is likely that the game was played even longer than that. Some ancient oral histories even go so far as to proclaim baggataway as being older than humankind itself. Modern Indian tribes discount the importance of who invented lacrosse and the question of how old the game is, because in their words: “We do not wonder who invented Lacrosse, or when and where; our ancestors have been playing the game for centuries — for the Creator." — from Tewaarathon, Akwasasne's Story of Our Indian National Game, 1978. What there is generally no debate on is that Lacrosse is the oldest sport in North America. All across North America Lacrosse was played in some form or another with the exception of the southwest. And it was being played long before Europeans ever set foot on North America. One group of Indians that lived in the southeast which included the Cherokee, Seminole, Choctaw, among many other tribes played a game they term A-ne-jo-di, or “Stickball” it is played with two sticks. They would carry a small ball trapped between the sticks. And the goal may have been to knock a wooden fish off of a pole with the small ball. The Modern game of lacrosse however most resembles the Iroquois version called "baggataway" “they Bump hips” or "tewaraathon” which means “The little brother of war” Even among the Iroquois speaking tribes there were variations too. The Mohawks called the game the “hon tis kwaks eks,” the Onondaga “guh jee gwah ai” – “men hit a rounded object,” and the Oneida call their version “gal ahs or Ga-lahs” Regardless of what they called it their game was played with a single stick with a triangular net with which a small ball made of stone, bone, wood, or hair stuffed deer hide was caught and thrown to other players. This ancient game was extremely violent as the name “the little brother of war” indicates it was used to train warriors for battle. It was an extremely important part of Indian culture and it was believed to be played for the Creator’s pleasure. Games were much more than just entertainment or contests between tribes as they were also believed to influence healing, and were used to resolve conflicts. They were highly spiritual and sacred in nature. Many hundreds and even thousands of individuals may have participated in single events lasting days and covering fields of play from an acre to many several miles in size. Often players were killed or maimed. The goal was often to incapacitate as many of the opponent as possible. Events would be preceded by great festivals and religious ceremonies. The name “Lacrosse” itself has some debate concerning its origins. Who invented Lacrosse the name? The popular belief is that Jesuit missionaries named the game Lacrosse because of the “Stick’s” similarity to the staff or crosier held by Jesuit Bishops. The Indian stick was shaped like a Shepard’s staff with a crook on one end. They would string the net on the crooked end in a triangular shape. If you read around you will see many references that the French word “crosse” derives from the crosier and was used to describe the Indian Stick. The alternate version of the origin is that the word “crosse” is a word that was used to describe a stick or bat in a game. That the reference had no correlation with the crosier, but in fact was just a French term for stick. In French “La Crosse” may have translated to “the stick.” Regardless of which version you prefer there is no question that Lacrosse was named by French Jesuit missionaries some time around the 17th century. Lacrosse gained a level of organization in 1794 when a match between the Seneca and Mohawks caused the creation of some basic rules. North American Indians play of Lacrosse was at its peak in the 1800’s. Play was extremely violent and particularly brutal. The white government and Christian influence saw the games as barbaric and pagan in nature and efforts were made to restrict play of the original game. In the early 1800’s as whites in Montreal were exposed to the game interest began to grow in Canada. The first set of rules was developed in Montreal by Dr. George Beers in 1867. Beers would be a major influence in the spread of Lacrosse outside of the Indian nations. Beers is commonly known as the father of Lacrosse. Go back to: The Home Page from who invented lacrosse.